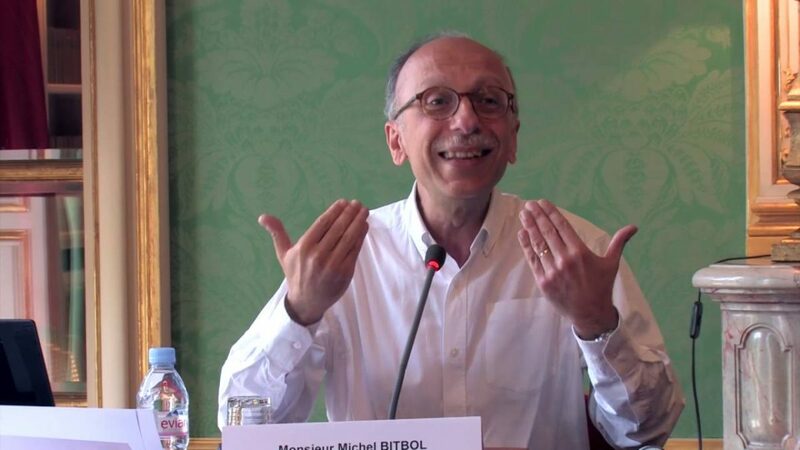 We interviewed Michel Bitbol, Mind & Life Europe Association Member and French researcher in philosophy of science, on the MLE community he is leading with Natalie Depraz and Claire Petitmengin, the Initiative for Contemplative Phenomenology (ICP). You have said that “philosophy is a bridge” in the dialogue between science and Buddhism; can you tell us something about this idea? 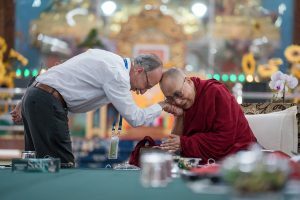 The dialogue between science and Buddhism represents an extraordinary opportunity of renewal for human cultures and wellbeing. But it also poses some risks: there is a risk of confusion, if the differences between the two disciplines are not borne in mind by both, and a risk of weakening one of the partners, if the dialogue becomes unbalanced. Philosophy can help substantially by clarifying the differences and giving indications as to how to recover the balance. Remember that, in the past, philosophy played the role of an interface between the various strata of our Western culture: between religion and science, or between subjective and objective sources of knowledge. It now has the potential to become an active interface between different cultures and approaches, such as science and Buddhism. How exactly does philosophy play its role of bridge or interface? In modern cognitive science, “mind” is objectified and defined as a system of information processing that allows for problem solving and decision-making. But in Buddhism, mind is the formless background of lived experience in which things are perceived and tentatively understood. As for “reality”, science defines it as a target to be reached through a long process of theory construction buttressed on experimental tests. In Buddhism, on the other hand, the nature of “reality” (which coincides with the nature of mind) is revealed by deconstructing conceptual fabrications. It is true that concepts are used skillfully in Buddhist philosophy; but this is mostly to reveal their narrowness and insufficiency. Tsongkhapa beautifully wrote that concepts must be rubbed against one another in order to wear each other down.How would a dialogue not create delusions if such huge differences in meaning are not taken into account? Second, even though philosophy has been the intellectual matrix of science in ancient Greece and in early modern Europe, it also has the potential for being a critique of science. Since Kant and Husserl, philosophy has revealed the limits of scientific knowledge, limits that are due to the specificity of its presuppositions. In particular, a purely objective knowledge has nothing to say about subjective experience. Speaking about objective correlates of contents and structures of experience is not tantamount to expressing something about experience itself. This clear understanding of limits prevents tendencies to hegemony. It creates a sense of mutual respect and reinforces the complementariness between scientific and Buddhist approaches. How does the Initiative for Contemplative Phenomenology (ICP) fulfill this role? The Initiative for Contemplative Phenomenology represents a step beyond the standard role of philosophy as an interdisciplinary or intercultural bridge. Indeed, the ICP project does not only use philosophy as a bridging discourse, it also provides a bridging stance and practice. Phenomenology aims at cultivating and describing features of lived experience. It works upstream of ordinary and scientific knowledge in order to disclose their common source in experience. To accomplish this, phenomenological method consists in suspending beliefs about the things that are experienced, and delving into un-fabricated and un-interpreted experience. This suspension is called the “epochè”, a Greek word that means “cessation”. This move is similar to the suspension of conceptual superimpositions and the attendant “suchness” that is favored by Buddhist contemplative disciplines. So, by introducing phenomenology into our dialogue, we create an occasion for direct collaboration between Western philosophy and Buddhism, on common ground. You are planning the 2nd ICP meeting for 2019: in your opinion, in what crucial ways does it build upon and expand the work done at the first meeting? Our first ICP workshop, held in June 2017, was really exceptional for its pioneering flavor. But during this meeting we tended to separate three activities, and to reconnect them only retrospectively. We had a morning of meditation; an afternoon of inquiry into the experience of meditation by using the micro-phenomenological interview method; and an evening of advanced courses in Western and Buddhist phenomenologies. The central topic that we ‘lived’ and discussed was the experience of the present moment. For our next workshop, we want to go further. The central topic will be the common method of both Buddhist meditation and phenomenology, namely, the suspension of verbal and perceptive judgment, and the suspension of all conceptual superimpositions on lived experience: a strong form of letting go. We will seek mutual inspiration, and mutual synergy, from phenomenological and meditative practices by moving closer to their shared root.